How do you teach 1 million children how to read? You start by improving literacy instruction at the classroom level. To this end, EDC supported the Philippines Department of Education in an ambitious, multi-year effort to improve the English, Filipino, and mother tongue literacy skills of 1 million young students from kindergarten to grade 3. 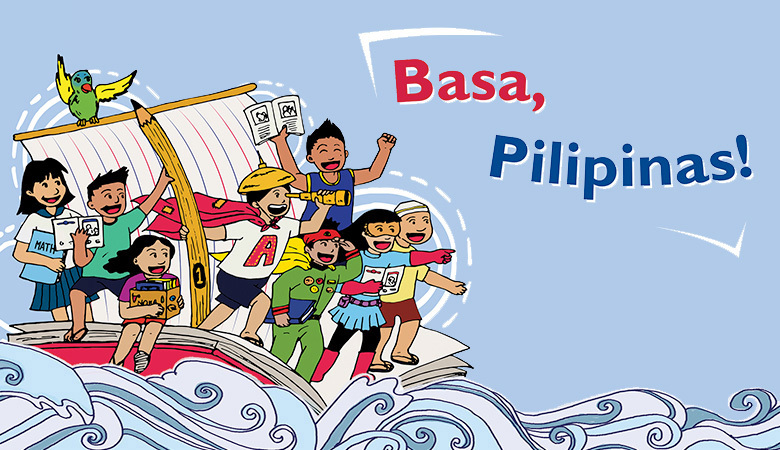 Called Basa Pilipinas (Read Philippines), the USAID-funded program reformed reading instruction, improved reading delivery systems, and increased access to quality reading materials throughout the country. On the request of the Department of Education, Basa Pilipinas also tested innovative models for reading remediation and for integrating ICT applications in reading classrooms. 1.8 million students have benefited directly from Basa Pilipinas, and 2 million more have benefited indirectly. Over 19,000 teachers have been trained. 10 million books and teaching and learning materials have been distributed by Basa to schools in the target regions. After five years of implementation, 89percent of grade 3 learners in Basa-assisted schools are meeting the Department of Education benchmark for reading comprehension in Filipino. Read more about the impact of Basa Pilipinas in "Teachers Accelerate Learning in Rural Philippines." The USAID/Philippines, through its Basa Pilipinas program has reached over 1.8 million students from kindergarten to Grade 3, trained over 19,000 teachers and school heads, and provided over 10 million units of teaching and learning materials to 3,000 public elementary schools in the Philippines. In this midterm evaluation of the Basa Pilipinas project in the Philippines, EDC tracked and measured changes in student reading performance. The evaluation was conducted over a period of years and followed a cross-sectional design that examined student reading data on Filipino and English Early Grade Reading Assessment (EGRA) as well as data on school environment obtained through student interviews.